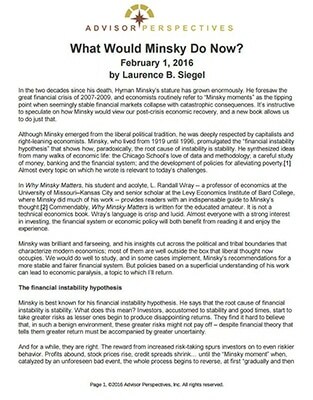 Latest Writing What Would Minsky Do Now? In the two decades since his death, Hyman Minsky’s stature has grown enormously. He foresaw the great financial crisis of 2007-2009, and economists routinely refer to “Minsky moments” as the tipping point when seemingly stable financial markets collapse with catastrophic consequences. 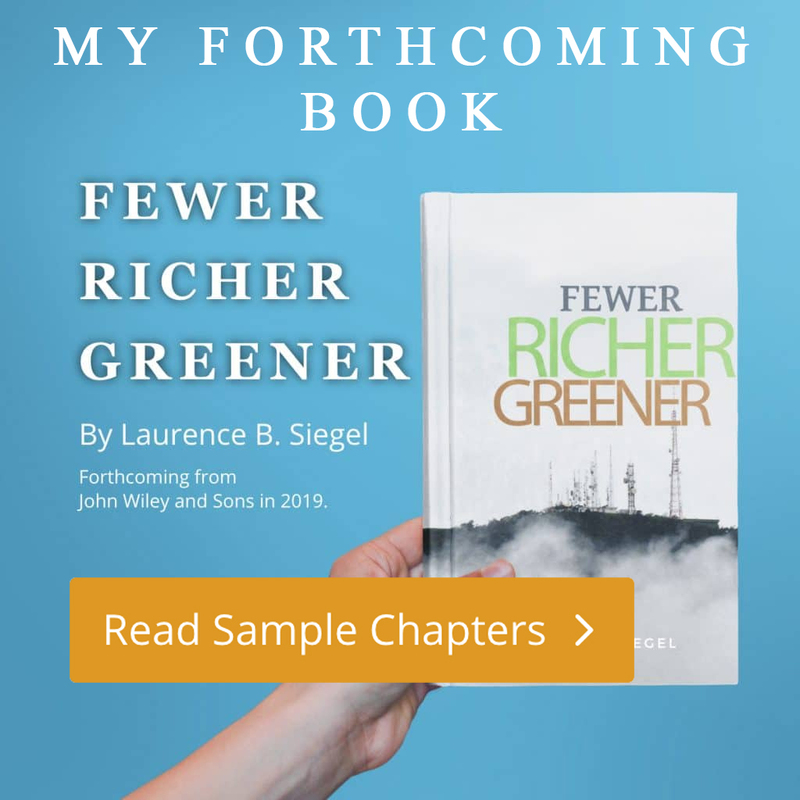 It’s instructive to speculate on how Minsky would view our post-crisis economic recovery, and a new book allows us to do just that. “What Would Minsky Do Now?,” Advisor Perspectives, February 1, 2016.